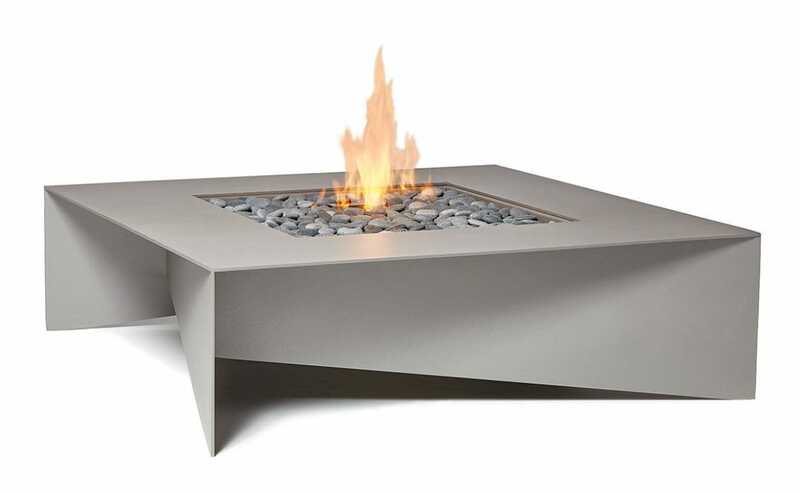 Fold Fire Table combines minimalist simplicity with light and shadow play to create a modern fire pit that is both refined and subtly provocative. From above, Fold is a simple rectilinear table surrounding a gas fire. Below this serene surface, delicate aluminium planes touch the ground at each corner, then fold inward and upward, forming dynamic shadows and lending the table an unexpected sense of lightness. Fold is available in two formats: rectangular 72 x 36 x 14”h (1829 x 914 x 356) and square 48 x 48 x 14”h (1219 x1219 x 356) and is made of powder-coated 5052 Aluminum. The two burner options, a 36″ (914) linear and 18″ (457) circular, are certified to CSA/ANSI and CE standards for North America and Europe. Fold ships complete with decorative topping, a table top insert and all-weather fabric cover. 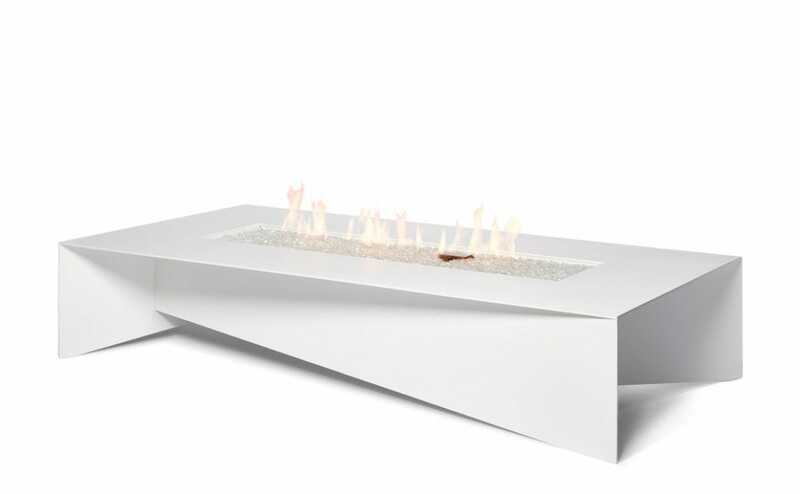 Fold Fire Table is available in black, graphite, or white powder-coated finishes.